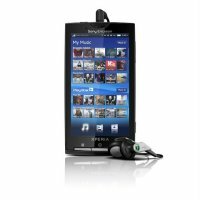 Sony Ericsson Xperia X10 is the first model of this manufacturer with Android. Rachael - that was the code name for today is one of the most advanced phones in the world. Sony Ericsson Xperia X10 boasts a powerful processor Qualcomm Snapdragon QSD8250 clocked at 1GHz, 8.1MPx resolution camera, 3.5mm headphone port and a capacitive touch screen with a diagonal 4 "and and the resolution of 854x480px. Remember that entered PIN on the website must be exactly the same as PIN entered in the setup program on your Sony Ericsson Xperia X10.